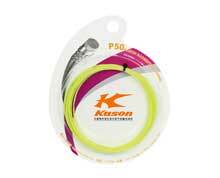 Kason PROFESSIONAL women's badminton socks in white with pink accents. 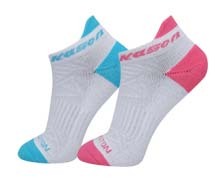 Kason badminton socks and clothing deliver the advantage of smashing, stretching, lunging, twisting and jumping in comfort because all the styles are based on INTERNATIONAL LEVEL player movements and a scientific analysis of how the human body moves during intense play. 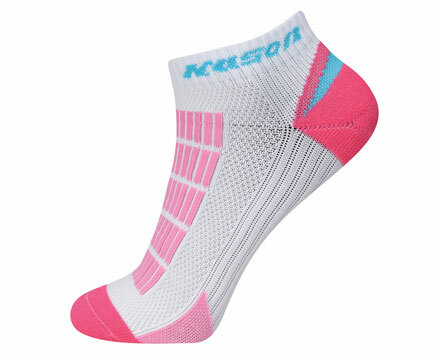 FREE EXCHANGE if this item does not fit and you need a different size. Please click on the shipping & return policy link at the top of the site for full details.